The last decades have witnessed the boom of social networks. As a result, discovering user interests from social media has gained increasing attention. While the accumulation of social media presents us great opportunities for a better understanding of the users, the challenge lies in how to build a uniform model for the heterogeneous contents. 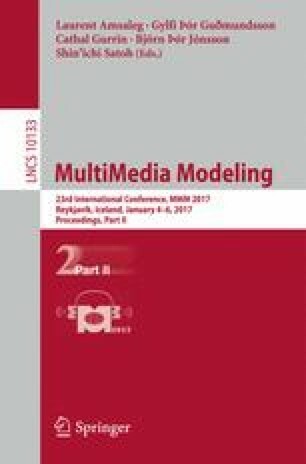 In this article, we propose a hybrid mixture model for user interests discovery which exploits both the textual and visual content associated with social images. By modeling the features of each content source independently at the latent variable level and unifies them as latent interests, the proposed model allows the semantic interpretation of user interests in both the visual and textual perspectives. Qualitative and quantitative experiments on a Flickr dataset with 2.54 million images have demonstrated its promise for user interest analysis compared with existing methods. The work is partially supported by the High Technology Research and Development Program of China 2015AA015801, NSFC 61521062, STCSM 12DZ2272600.